Copenhagen, Denmark (CNN) Two deadly attacks. A fatal police shootout. And yet another European country grappling with apparent terrorism at home. The serenity of Denmark's capital was shattered over the weekend when a gunman opened fire at a free speech forum before shooting several people outside a synagogue and then firing at police. The suspect has been named as Omar Abdel Hamid El-Hussein, Reuters and Danish news outlet TV2 reported. Police have not formally identified the gunman. Meanwhile, two men pleaded not guilty Monday to accusations they had plotted to help the shooter hide after the attacks, their attorney said. Danish Prime Minister Helle Thorning-Schmidt did not confirm the suspect's name, but in a news conference Monday said that while the suspect was linked to a criminal group, at this stage there are no known links to a terror cell. But investigators do not rule out that the attacks may have been inspired by last month's terror attacks in Paris. Some security experts say the nexus between criminal gangs and violent extremists in Denmark is closer than in other nations. Jihadist activity has a history in Denmark, and more than 100 Danes are believed to have traveled to Syria and Iraq to fight with militants. Democracy and freedom of speech remain strong in Denmark and will not be threatened, Thorning-Schmidt said. "I want to underline that this is not a conflict between Islam and the West, or Muslims and non-Muslims," the Prime Minister said. "This is a conflict between the core values of our society and violent extremists." With the assailant now dead, some questions may never be answered. But more and more details are starting to emerge. The carnage started Saturday afternoon when the gunman stormed a Copenhagen cafe where Swedish cartoonist Lars Vilks was attending a free speech forum. 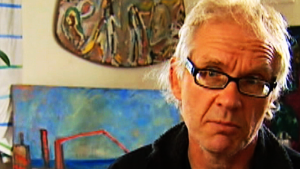 Vilks is known for his controversial depictions of the Prophet Mohammed. He's named on an al Qaeda hit list and travels everywhere with a bodyguard. Once the attack started, Vilks noticed the gunman had more firepower with his rifle than the nearby officers with handguns. "He was very well-equipped, and the policemen were not. So he had an advantage," Vilks told CNN. "Several of the policemen (were) wounded, but still they tried to fire back." Vilks said his bodyguards hustled him into a safe room. By the end of the melee, the gunman had wounded three officers and killed a 55-year-old man. Police have not identified the deceased, but the Danish Film Institute said he was director Finn Noergaard. Hours after the cafe attack, police said, the gunman made his way to a Copenhagen synagogue and once again opened fire. Two officers were wounded, and a man providing security for a bat mitzvah party behind the synagogue died. The Jewish Society of Denmark identified the deceased as 37-year-old Dan Uzan. He was a member of the Horsholm 79ers basketball club in Copenhagen, club board member Peter Damm said. "The Jewish Society is in shock about the attack, but everyone's thoughts are first and foremost with Dan's family and friends, and with the wounded police officers and their families," the Jewish Society said. Police said they are investigating both shootings as possible terror attacks. Police identified the suspect from surveillance footage that shows him getting into a taxi after one of the attacks, Copenhagen police investigator Jorgen Skov said. "By interviewing the taxi driver, we got the address where he dropped off the person," Skov said. "We have been keeping that address under observation." He said when officers tried to contact the suspect at the Copenhagen apartment Sunday, the suspect opened fire. Police fired back, killing the gunman. While police haven't formally released the name of the gunman, they said he is a 22-year-old man born in Denmark. Authorities said he was "well-known by the police for several criminal incidents," including weapons violations and violence. Police also said he was "known in connection to gangs." Carsten Ellegaard Christensen, a national security reporter at the Danish newspaper Jyllands-Posten, provided additional clues, citing sources with detailed knowledge of the investigation. Christensen was told the dead gunman was Danish-Arab, living in Copenhagen, and was on the radar of authorities for gang activity, not for suspected Islamist extremism. As far as police know, he had not traveled to Syria or Iraq. The gunman was recently in jail after being convicted of stabbing another young man with a knife several times on board a commuter train, Christensen said. The man survived. On Sunday, police arrested two men for suspected links to the gunman. Prosecutors say the pair made prior arrangements to help the gunman hide, said Michael Juul Eriksen, an attorney for the two men. The pair pleaded not guilty to the accusations, Eriksen told CNN. A judge will decide Monday whether the prosecution has enough evidence to proceed with criminal charges. Authorities are "operating under a theory" that the gunman may have been inspired by the January terror attack in France, said Jens Madsen, chief of the Danish Security and Intelligence Service. Seventeen people died in the Paris attack, which began with an assault on the offices of the satirical magazine Charlie Hebdo. The magazine had published controversial images of the Prophet Mohammed. The attack renewed attention on networks of extremists operating in Europe. Shortly after the attacks in Paris, police in Belgium conducted a raid where two suspected extremists were killed in a shootout. The ringleader of that group, who is believed to have operated from Greece, remains at large and may have fled to Syria. Vilks, who has survived two previous attempts on his life, became a target after his 2007 cartoon depicting the prophet with the body of a dog -- an animal that conservative Muslims consider unclean. "It should be possible to insult all religions in a democratic way," Vilks said after that cartoon published. "If you insult one (religion), then you should insult the other ones." Like Charlie Hebdo editor Stephane "Charb" Charbonnier -- who was killed in the Paris attack -- Vilks was one of nine faces on a "Most Wanted" graphic published by al Qaeda's Inspire magazine for "crimes against Islam." Others include a pair of Danish journalists who published 12 cartoons depicting Mohammed in the Jyllands-Posten newspaper; Florida pastor Terry Jones, who burned a Quran; and "Satanic Verses" author Salman Rushdie. Even after the gunman was killed, police maintained a heavy presence on Copenhagen's normally placid streets. It will stay that way for a while, Danish authorities said, to help residents and visitors feel secure. "As a nation, we have experienced a series of hours we will never forget," Thorning-Schmidt said Sunday.